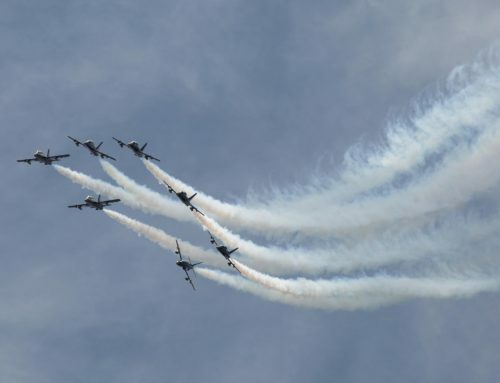 The United States Air Force’s Thunderbirds are always one of the top highlights of the Milwaukee Air & Water Show. The Thunderbirds were created on May 25, 1953 as the United State Air Force’s official air demonstration team at Luke Air Force Base in Arizona. The unit was given the name “Thunderbirds” because they were influenced in part by the strong Native American culture and folklore in the area. The first unit was made up of seven officers and 22 enlisted members of the United States Air Force. Throughout time, the Thunderbirds have always wanted to display the most advanced fighter planes and have switched the type of planes they fly throughout history. The team started with the F-84G Thunderjet. In 1955 the team switched to F-84F Thundersteak. They switched again in 1956 to the F-100C Super Sabre and the team moved to Nellis Air Force Base in Nevada that same year. In 1964, the F-105B Thunderchief performed six shows but the team had to transition back to the F-100C after an accident in the 105. The team stuck with the F-100 for the next 13 years. Then in 1969, the team received the first McDonnell Douglas F-4E Phantom IIs and that began the most extensive conversion in team history, changing the whole paint design. In 1982 the first red, white and blue F-16A was assigned to the Thunderbirds. Throughout time, the Thunderbirds were able to perform for many big events here in the United States and around the world. The Thunderbirds have been able to put on demonstrations for millions of people. The team is able to represent the everyday, hard-working airmen serving the United States. 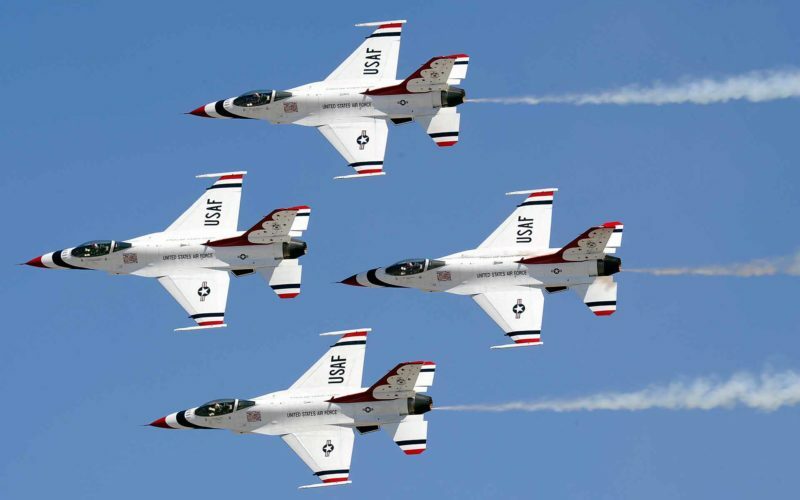 The Milwaukee Air & Water Show is honored to have the Thunderbirds perform at our event year after year. 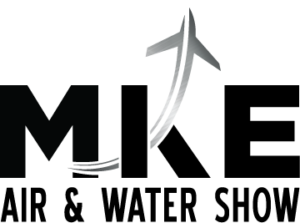 To find out more about the Thunderbirds, click here visit their website.